Se possivel tente tirar uma foto do erro. Voce jah jogava ets online antes disso? Tente mudar o lugar de instalação tambem. What can be happening is that some modification is activated. Check the mod folder that is located under "Documents". And look for some file. 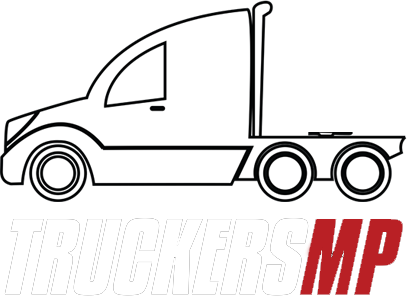 Because truckesmp does not allow us to use modifications online. See if you do not have any steamed items as well. I await your reply. Recomendo fazer como dito acima. Tente entrar no navegador usando o e-mail e senha que lembra. Tente tambem redefinir senha. Have you tried deleting the file called "live stream" in the Euro Truck folder that is located in your Documents? Then open the euro truck and open the radio player and click "refresh". Make sure it works. problema com verificação em duas etapas. ah v Jah verificou se na propriedades do euro truck esta assim? Sair de todos os betas? @carloscesar78 Abra seu jogo e vá em configurações. Na aba "general" procure por "Language", provavelmente ira estar em English. Va na opção e procure por Portugues Brasil. Aguardo sua resposta!!! @jhonbii Voce esta pegando cargas pelo mercado do World of truckes? What are you using? If it is double there is a rule for its circulation. If anything, let me know again about this topic.